Drupal Interview Questions: 35. Which are the core required modules in drupal 6.x ? 35. Which are the core required modules in drupal 6.x ? 1. Block --- Controls the boxes that are displayed around the main content. 2. Filter --- Handles the filtering of content in preparation for display. 3. Node --- Allows content to be submitted to the site and displayed on pages. 4. System --- Handles general site configuration for administrators. 5. User --- Manages the user registration and login system. 34. How to enable clean urls in drupal ? 30. Explain the capabilities of views module. 29. How to port a joomla template to drupal ? 26. What is a patch? 24. List the SEO modules available in Drupal. 20. Explain Region, Block, Menu in drupal ..
19. Explain the path system of drupal ? 18 . How database system of drupal works ? 17 explain Taxonomy in drupal . 16. Concept of Comment in Drupal . 15. Explain the concept of node in drupal. 14. Explain User, Permission, Role in drupal. 13. What is a Module in drupal ? 12. 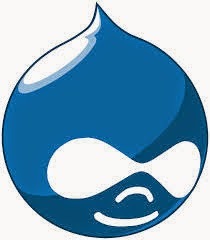 How to interact with Drupal search system ? 10 what is Database abstraction layer in Drupal ? 8. Can I use Drupal on the command line? 6. What are GNU Licenses ? 5. What is an Open source software ? 4. What is Drupal ? 3. Which are commonly used PHP based CMSs ? 2. What is a web content Management system ? 1. What is a CMS ? 22. Explain the function and working of Dashboard module ? 53. What is drupal 8 ? 84. Steps for launching a drupal site ?